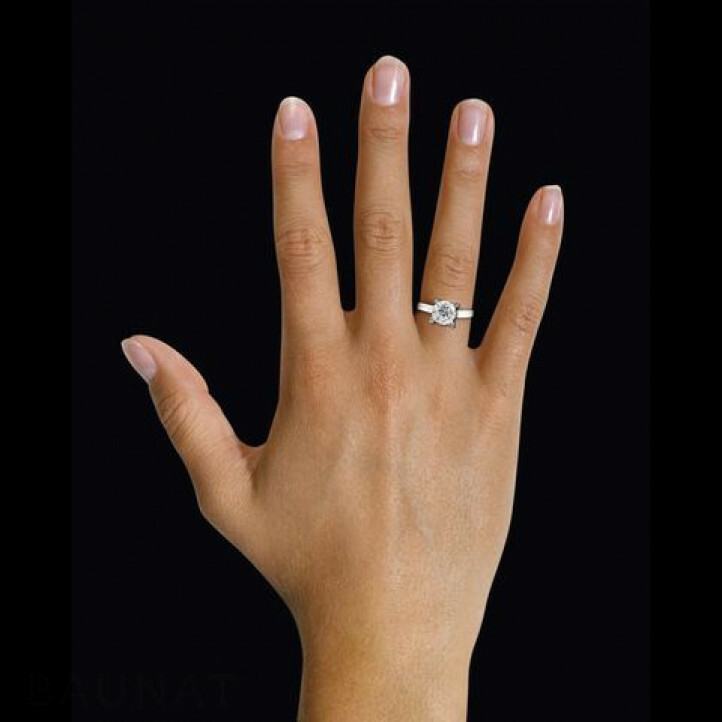 Before travelling to Paris, we consulted with the BAUNAT Paris store about jewellery customisation. We accepted their quote, where the exact type of diamond (G, VS2, 3EX) was described. We received our jewellery upon our arrival in Paris. The craftwork, value and service were fully satisfactory. We will buy again from BAUNAT in the future! The first appointment in the showroom in Antwerp could unfortunately not be met, but thanks to flexibility by both parties, it could be held earlier. They took the time to explain the entire process during the meeting. The ordering went smoothly and the delivery was fast. The diamond ring is really stunning. My review says it all: my initial hesitations to make such a major purchase online melted away after my first contact with Baunat. My questions were quickly followed up, the delivery was right on time and the quality fulfilled all expectations. I would not hesitate to make use of the services of Baunat when the next opportunity allows it! More information here on the Kimberley Process and conflict free diamonds.